For Foundation Repair In Southlake, TX, Enlist HD Foundations. Our Methods And Warranty Are Great. 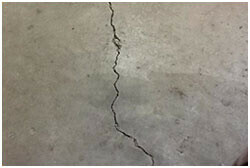 f Foundation repair in Southlake, TX is needed, call HD Foundations. We utilize an outstanding system when restoring foundations and offer a great guarantee. 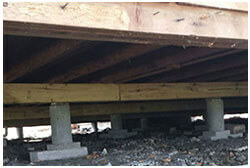 Hire HD Foundations when you need a company that halts serious foundation problems and offers estimates at no charge. If you’re in Southlake Texas, take a moment to learn about our foundation repair service. We’re BBB-A+ rated. Why Foundation Repair In Southlake? The primary reason to have your foundation fixed is to protect your valuable property. Over time, wind, weather and rain can lead to extensive foundation damage. Whether you have a sinking pier and beam foundation or a cracked concrete slab, it’s best to have effective Southlake service using our great foundation repair process. It’s effective on residential properties, apartments and commercial complexes. 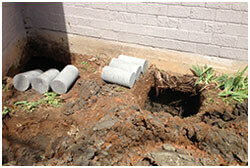 When you hire HD Foundations, we follow this repair procedure because it ends a multitude of foundation issues. Our terrific process for fixing foundations involves lifting your slab or other structure in order to make it level. It’s extremely important that your foundation does not slope and become uneven. One of the main reasons for using our method is to halt serious foundation repair issues and minimize foundation cracks on Southlake houses. As part of it, concrete piers or steel foundation piers are installed. By stopping critical issues that affect your foundation now, you’ll save on costs later. What’s Great About HD’s Foundation Repair Warranty And Process? One of the most outstanding things about our guarantee is that it lasts a lifetime. This means that as long as you own your house, the foundation is covered. But that’s not all. HD Foundations’ warranty is transferable to the next owner. Find out why our foundation repair warranty is so great. If you live in Southlake, foundation damage is a concern. Fortunately, our house leveling process ensures that your foundation is stable for years to come. It’s easy to get an expert opinion on your foundation and find out what, if anything, is wrong with it. We’ll check it out at no charge. If it does need service, hire HD Foundations to fix any issues that are serious. In order to avoid sloping, sinking and other foundation problems, get an evaluation on your Southlake home today. Just schedule a free foundation repair estimate online or phone us.